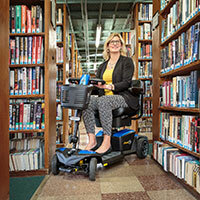 What do you do when you face a life-changing illness, injury or wounds? What thoughts go through your mind when you hear doctors tell you they have no idea why this happened to you? For me, though the road back was a demanding and challenging one, it has culminated this year in becoming Invictus. In 2011, I was on a scheduled military deployment and my career was soaring. I had just commissioned the year before after spending the previous 12 years enlisted. It started out just as any other deployment, preparing for multinational exercise before heading over to provide support for combat operations in Iraq and Afghanistan. On March 11, 2011, a devastating 9.0 earthquake and tsunami ravaged the shores of Northern Japan crippling the Fukushima Daiichi Nuclear Power Plant and setting in motion the worst nuclear disaster in history. Following the news of the earthquake and tsunami, the Carrier Strike Group was relocated from the exercise and placed off the coast of Japan to provide humanitarian assistance to the displaced Japanese citizens, known as Operation TOMODACHI. Upon the Strike Groups completion in Operation TOMODACHI, we would continue on with our scheduled deployment supporting combat operations until relieved and returned home in September 2011. Prior to our return, I had received orders to transfer upon returning to Washington, DC where I would assume the duties as an Executive Assistant for a Senior Executive within the Department of the Navy. It was shortly thereafter, my life changed; my career and life was hanging in the balance. Less than nine months after participating in Operation TOMODACHI, I began to experience health problems that consisted of blacking out behind the wheel of my SUV, unexplained weight loss, uncontrollable fevers, night sweats, tremors, wiping hair from my body when showering and swollen lymph nodes. During my second hospitalization, muscles began to fail, starting in the legs and ascending. As the months passed by and my condition continued to worsen, it seemed no end was in sight. Some doctors began telling my wife she should consider making arrangements, as there was no clear prognosis. By now, it was clear my military career was over and the future was uncertain. Months turned into years. I was medically retired from Naval service and became a T3 paraplegic. My struggles continued; my darkest days were upon us. By the latter part of 2014, I had sunk into a state of depression that was slowly destroying my family and me. My marriage was on the verge of failing and I seemed to have no purpose to continue. I was ready for the pain to stop. I was then given an ultimatum to either get busy living or get busy dying, but I had to choose one. So what do you do when the future is uncertain? What do you do when your wife tells you need to get busy living or get busy dying? Well, that was a year and a half ago and I’m still here…I have a greater purpose! In January 2015, I attended my first adaptive sports camp and have been addicted ever since. I completed my first 5k in a race chair in February 2015 and participated in Team Navy Trials in March. In April, I handcycled the Salt Lake City Marathon, my first marathon ever. Later that month, I was selected to represent Team Navy at the 2015 Department of Defense Warrior Games. In a short period of time, I went from not living, failing myself and my family, to competing at the Warrior Games and winning five gold medals and one silver medal. This made my family life stronger than ever. I did not know these feats would be possible. Later in 2015, I went on to handcycle the St. George Marathon and the Marine Corps Marathon in the same month. How is this possible? First none of this would be possible without my wife who has been the rock and foundation in our relationship even through the toughest of times. Times that brought on the darkest of my days and made me question my purpose in life. Second, family that extends beyond the ties of blood; family that lifts you up when you are down, encourages you to push a little further or a little harder and dig a little deeper. Family that forces you to look in the mirror, face the truth, and seek the inner drive and passion once more. 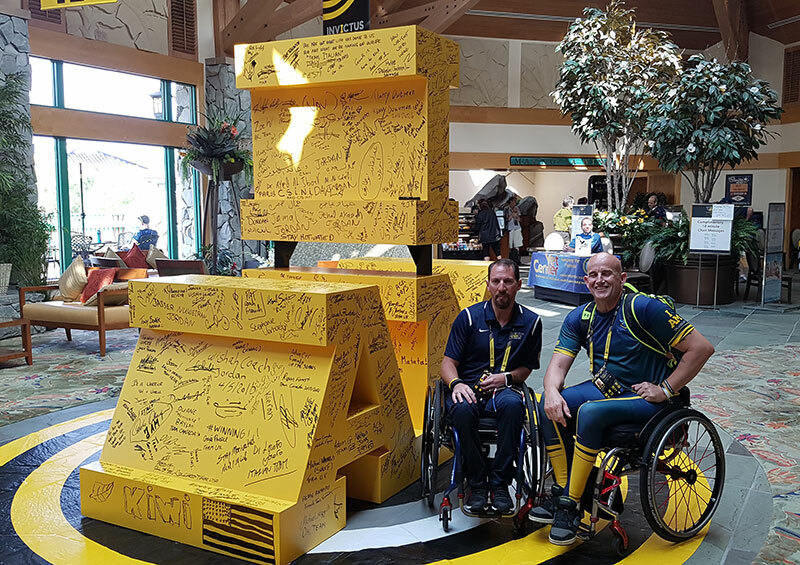 With 2016 on the horizon and the goal of competing in the second Invictus Games, a setback occurred. November of 2015 I was in for a rotator cuff repair on the left shoulder, a procedure that will sideline an athlete for six months to a year. I was determined this was not going to derail my goal. I made it my mission to be competition ready in three months. Through the pains of physical therapy and pushing beyond limits, I was back on the bike and racing by February 2016. I was competing in Team Navy trials once again and preparing to represent the United States as a member of the USA Invictus Team. 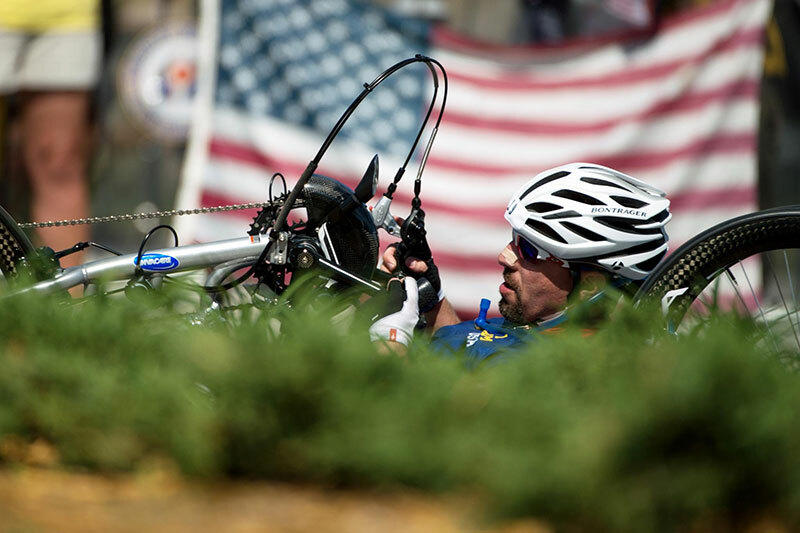 This was what all the pain and hard work was about; this is the pinnacle of military adaptive sports. On May 8, 2016, the second Invictus Games were officially underway with the Opening Ceremony held that evening. The following four days would test athletes from around world in sports such as archery, rowing, wheelchair tennis, wheelchair basketball, wheelchair rugby, powerlifting, cycling, swimming, seated volleyball and track and field. Athletes would take to the field, court, range, pool, road and track to display their heart, their drive and their unconquerable soul! Our fates would not be predetermined by the very cause that set each of us on this course. Our wounds, injuries or illness would not determine the outcome of these games, yet only the true spirit of Invictus would determine our fate! We do not push ourselves beyond the possible for simple self-gratification, but to display hope and instill pride and passion into those who may have lost their way. The competition is more than a medal; it is about building a team, a friendship or a family. It is about encouragement. It is the strength to fight through adversity, take to the start and make it the finish. 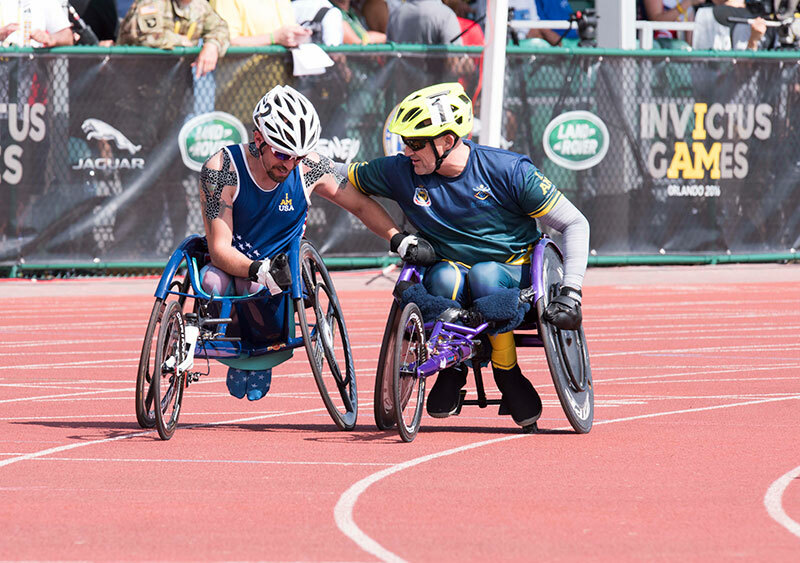 The spirit of the Invictus Games reaches beyond the banner of the competitors. The moment you don the Invictus uniform, you become more than athletes or competitors; you become a beacon to show the world that more is possible. I do not know what my future holds as the level of my injury continues to ascend. The one thing I do know for certain is that I will continue to compete and train until I am no longer able. I have no idea when that day may be but until then, I will be on the road, track, range or basketball courts doing what I love! I became the master of my fate; I became the captain of my soul!!! Steve Simmons is a retired Navy lieutenant and competed for Team USA in the 2016 Invictus Games in Orlando, Florida. The Invictus Games is a Paralympic-style, multinational event with more than 500 military competitors from 14 nations competing in 10 sporting events. 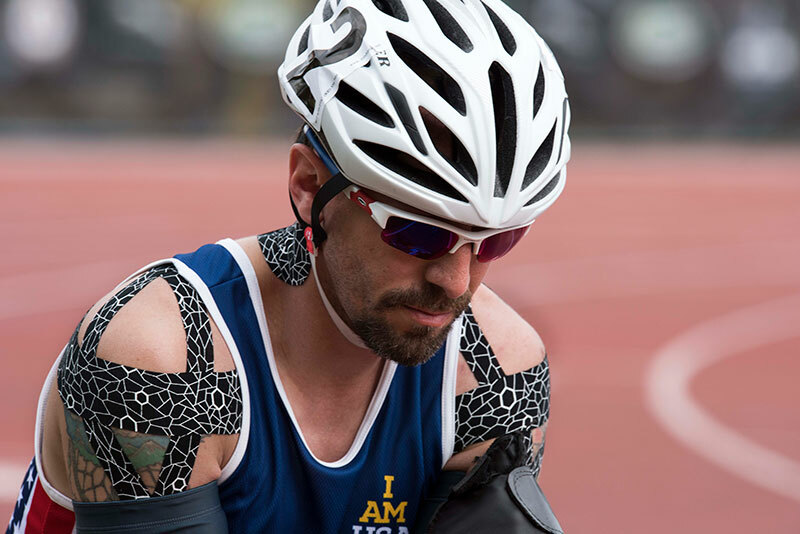 Steve will bring his Invictus Game medals the Bay Area Abilities Expo for attendees to see. They will be on display in the Lasher Sport booth #628.